We are absolutely obsessed with making sure you and your group look great. When you place an order with MESUMA, you’ve got an entire team of expert artists at your service. Our artists review every design for sizing, contrast, layering issues, and when necessary, they’ll even recreate and enhance the Ai file images you send us so that they’re perfect for printing. We do what it takes to make your design right. For complicated designs or orders over 250 pieces, we’ll do our best to expedite the process and provide you with sample prior to full production. At MESUMA, real people answer your calls. Real people review and adjust your design for a great print. That’s why we WANT you to call us. Behind this fancy website is a group of real people who are on-call and dedicated to getting your order just right and making you and your group look great. When it comes to our product selection, the sky’s the limit. We carry almost everything you can think of. You’re in the right place. Our amazing collection of brands, styles, colors, and sizes means anything is possible. And no matter what you choose, you can rest assured that what you’ll get is of the highest quality. After all, a great design is only as good as the product it’s printed on. 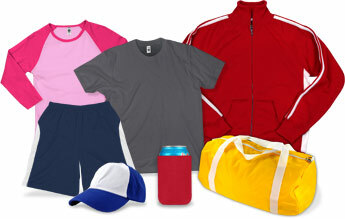 Our products are meant to be worn and shown off, and they’ll make sure your group looks fantastic. Don’t see what you want on the site? Contact Us. We may be able to find it for you. Customized products don’t usually come with a guarantee, but they do at MESUMA. We deliver high-quality products — products that will look as much as the visual or sample confirmed by you and we do so on TIME! But if the goods are otherwise flawed, we will be there to assist you in solving the problem. We can’t wait to get your order into your hands. Our standard delivery time is 14 working days after the confirmation of your order. If it’s meant to shipped outstation or overseas, our technical support team will go through with you and plan your timeline with you. At Mesuma Sports Sdn Bhd, you can create your own custom design printed locally with 100% satisfaction guaranteed. Download our brochure today to view our catalogues or contact us to get a free quote.